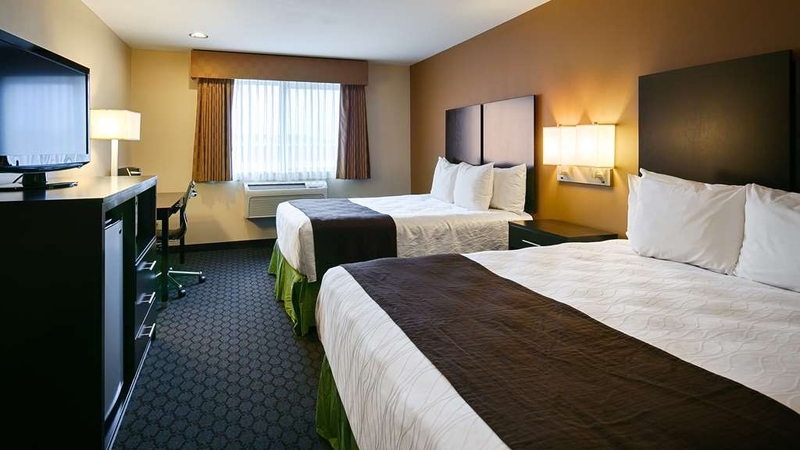 The Best Western Sky Valley Inn is ideally located in the center of Monroe. Come and experience our hotel near the major tourist attractions. Best price guaranteed and exclusive deals. 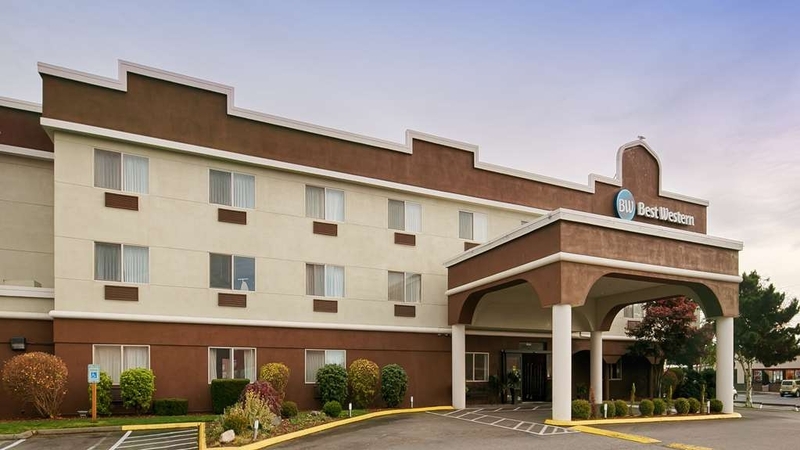 There's plenty of adventure to be had in the Great Northwest, from the exciting races on the Evergreen Speedway to the family fun at the Evergreen Fairgrounds, and our Monroe hotel is close to it all. Skiers stay with us and spend their days at Stevens Pass Ski Resort. 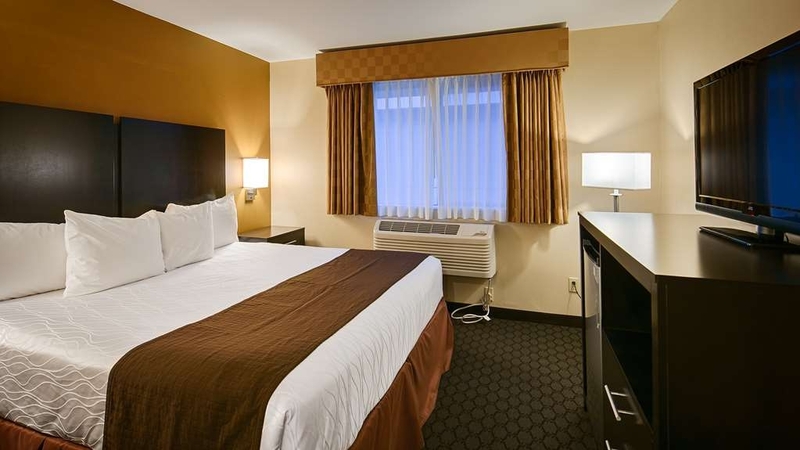 Our Monroe hotel has a convenient location close to everything travelers want to do or see. With a close proximity to the fairgrounds, an abundance of winter activities at Stevens Pass, it's always a great time to visit Monroe. Skykomish River fishing is a popular local pastime. Whatever you're in town for, rest assured that our comfortable, and clean rooms provide guests with the perfect respite after a day on the slopes or exploring the region. We offer free Wi-Fi, a seasonal outdoor pool and hot tub, and a deluxe full hot breakfast that's complimentary. Build your own waffles at our waffle station and indulge in biscuits and gravy. A buffet featuring hot eggs, breakfast meat and cold cereals, fruits, and yogurt is also available. Your meal is complete with cold juices or 100% Arabica coffee. 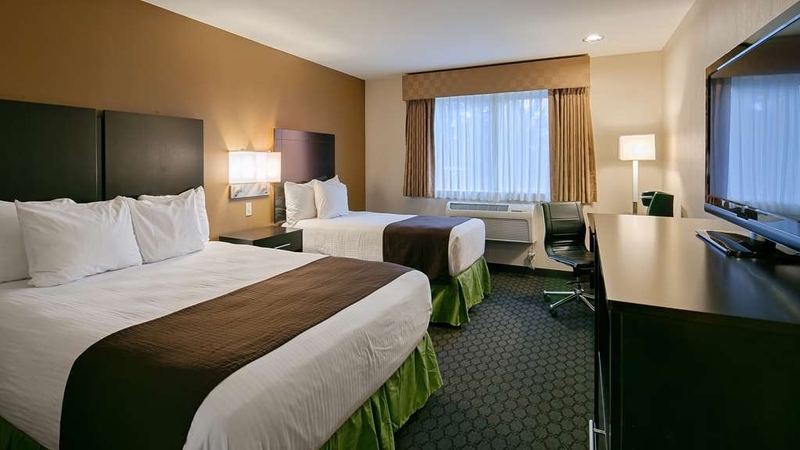 The Washington Department of Fish and Wildlife regularly sends business travelers our way, and business guests especially enjoy our well-appointed rooms, small business meeting facilities and touches of home. 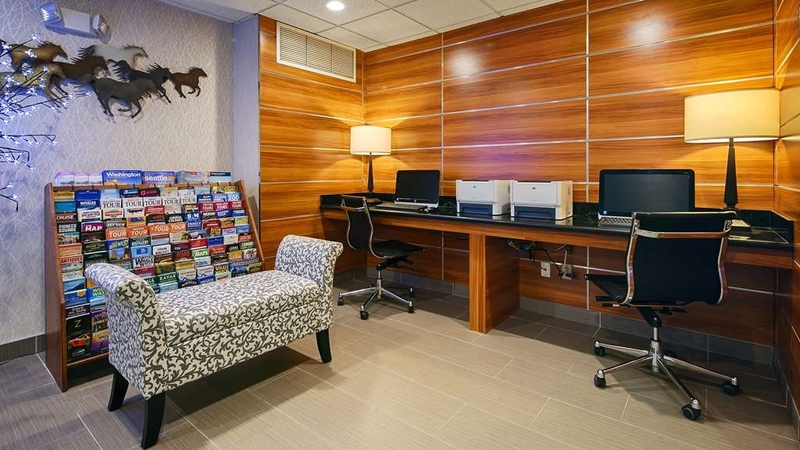 Our Monroe hotel was designed with convenience and comfort in mind. No matter what you need to take care of, guests at our hotel are always just a short drive away. Depend on the reputation, quality and service of Best Western for your next trip. 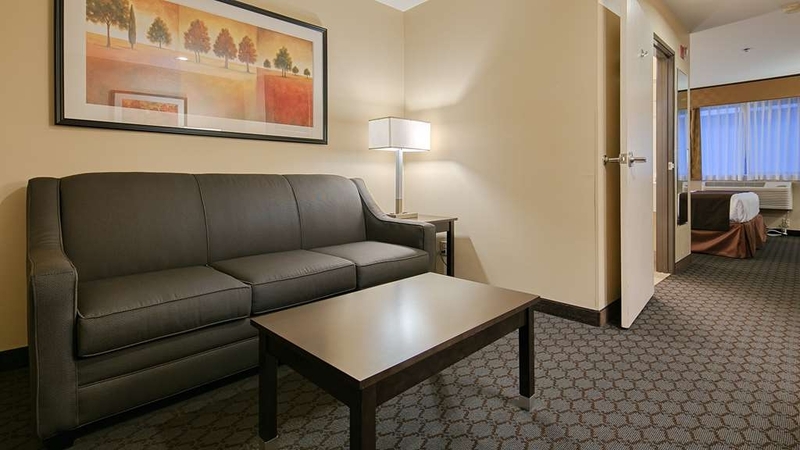 Our Monroe hotel has everything you need for a fantastic getaway. From a hearty, filling breakfast on the house to an unbeatable location, it's exactly what every traveler needs. 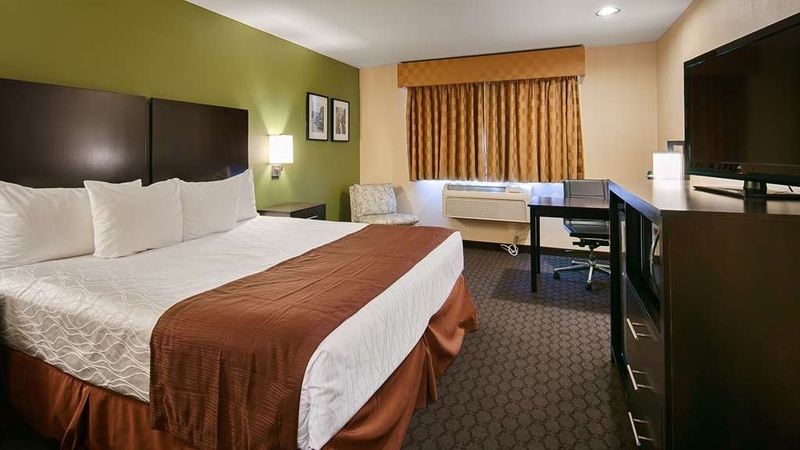 Book your upcoming stay at Best Western Sky Valley Inn, where value meets quality! Nice desk staff, hotel could use updating but location and staff make it better. Breakfast items are good but seem to always be out when we want to eat. Price for what you get is a little high. Location is close to many things so that is nice. Dear Shawn R., Thank you for leaving your feedback regarding your recent stay at our property. I apologize we did not exceed your expectations regarding breakfast. Our breakfast attendants work hard to provide our guests a fresh, hot breakfast. I regret we missed our opportunity to maintain the breakfast foods in a timely matter. 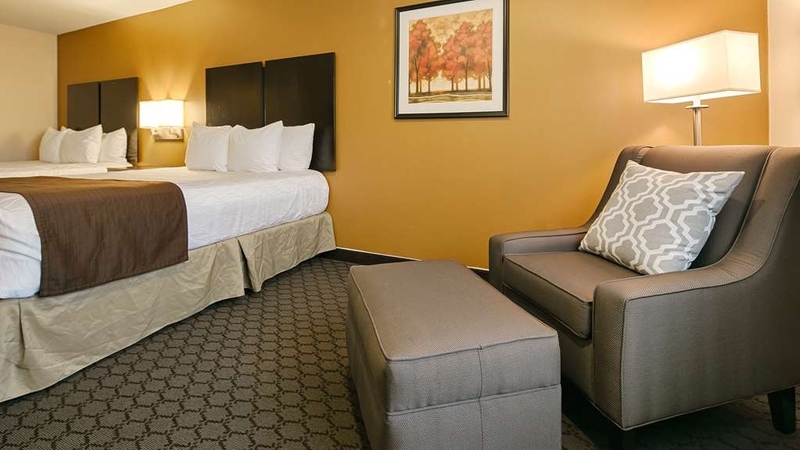 As an elite Best Western Rewards member, we strive to meet your expectations. I hope you will consider staying with us again so we can provide you with a better experience. Very comfortable and spacious room. Excellent breakfast. Good internet. Free parking. Very good value. I was completely satisfied. Close to restaurants, within easy drive of 5 minutes. Very pleasant and helpful staff. Thank you for the great feedback! We're happy to know you enjoyed your stay and found our hotel convenient for you. We hope to see you again! Excellent hotel, great stay! Will definitely stay here again! Hotel was clean and breakfast was great too. Excellent front desk staff very knowledgeable and efficient at what they do. Very close to restaurants in Monroe. Thank you for your feedback! We're happy to hear you enjoyed your stay with us. We hope to see you again! "Best place to stay in Monroe"
Thank you so much for your feedback! We look forward to seeing you next time! "Nice place, friendly staff, real good rooms"
Best Western Sky Valley is a nice place, good parking, friendly and helpful staff. Love the room. Happy that they have dog-friendly rooms. We have stayed here several times and have been pleased with every visit. Thank you for the great feedback! We look forward to seeing you again in the future. "Modern rooms and great service"
Stayed her for four nights for business and was very impressed. Was upgraded to a king suite without asking for it which was appreciated! Rooms were modern and comfortable Breakfast was great, and service was good overall. Not much going on in Monroe, but for me it was close to where I was going. Thank you for the great feedback! We're happy that you enjoyed your stay with us and that our hotel was convenient for your event. We hope to see you again soon! Stayed at the best western to attend the great junk hunt at evergreen fairgrounds. Hotel was close to the event and clean. Good breakfast selection however it ends at 9:00 am even on weekends. Shopping and restaurants nearby. Cute boutique shops on Main Street. Thanks for the great feedback! We're happy to hear you enjoyed your stay and that out hotel was convenient for the event you were attending. If you're ever in the Monroe area again, don't hesitate to call and make a reservation with us. Hope to see you again! "Nice hotel located in the middle of town." We were over in the Monroe area for a 5pm Saturday wedding. We decided to stay at this Best Western because we were planning to come home State Route 2 early the next morning to have breakfast in Leavonworth . We were pleased with set up of the room , There was a small couch and a coffee table , and aTV , also a TV back by the bed. Not much to look at as far as a view but then we weren't there only to sleep Saturday night. We didn't have any issues with anything, it was very quiet and the bed was ok comfort wise. We would stay here again if we are in that area. Thank you for the great feedback! We are pleased to hear our hotel was convenient for your event in Monroe. If you're ever in the area again, we'd love for you to stay with us! I stayed here 5 night the past 2 weeks. This was my second stay. Hotel very clean! Staff friendly and accommodating. Rooms are great especially the King Suite. Beds super comfy! Hot tub and pool do the trick. Breakfast is very good with many selections including waffles, omelets and biscuits and gravy.This hotel is a super close easy walk to many restaurants.Keurig in room. A ton of TV channels. No road noise. The only downfall is the no name complimentary toiletries but I travel with my own. I will be back every year! The Best Western Sky Valley Inn in Monroe, Washington is a very nice little hotel. It's very clean, the staff are all very nice and friendly. I stayed in a room with two queen sized beds and it was a comfortable and pleasant stay. If you are traveling on business or just in town for a visit, this is a good place to stay. It's close to the Evergreen State Fairgrounds and within walking distance of Fred Meyer and several restaurants. Burger King is practically in the same driveway. "Overnight stay for Fishing Trip"
Rooms were clean and nicely decorated. Nice room, no problems. The beds slept good. Stayed on a quick trip up from Seattle for a early morning fishing trip. Staff was nice and rooms were clean. It was easy to find and near several restaurants. Clean is my first priority and this hotel did not disappoint, Quiet, Staff very pleasant and accommodating. Bed extremely comfortable. Plenty of extra towels. Highly recommend and will stay there again. Happy customer. Stayed here for a few days while we are in between homes. Room was very clean, beds are quite comfortable, and location is great. I typically think it is overpriced but I happened to find a fantastic deal on the rate for this stay. Would recommend to others. "We loved the hot tub and Tess was great!" Thank you very much for the great feedback! I'm happy to hear that you enjoyed our hot breakfast and Tess could assist you with everything you needed to make your stay most comfortable. It was a pleasure having you stay with us, we hope to see you again! We were unfamiliar with the are and chose this place based on reviews and price. It was a good choice. Everything was clean. The staff was friendly and efficient. We were checked in quickly and with their rapid checkout system, we did not even need to go back to the desk. Breakfast was good, and was clean there too. The location was great as there were many restaurants within a few minutes walk. It was a good stay. "Very good hotel for a great price"
The location of this hotel is great. 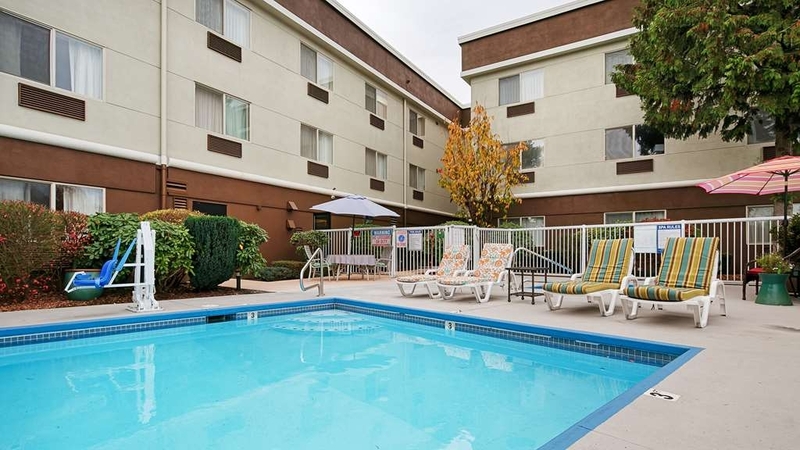 Centrally located close to restaurants and the main highway in or out of town for ongoing travel. The staff were very friendly and helpful. The young lady at reception reommended a wonderful restaurant nearby. We'd go back for the food at that restaurant and accommodation. Our room was lovely with comfortable bed, very clean and updated. Wifi worked fine. There is an elevator and a pool area although we didn't use the pool. I would definitely stay at this hotel again if I was in the area. Our family needed to book a reservation and read the reviews for Best Western Sky Valley Inn. We were pleasantly surprised by the hotel! Stacy the front desk staff was warm and welcoming! She made great conversation and was very friendly. The room was very clean with one king bed and a sofa bed. The bathroom was fully stocked and the towels were folded in a really cute design. The sinks and tub were spotless. I couldn't find anything to complain about. Very pleased with this hotel...we will stay again! Thank you Marta for the great feedback! We are pleased to hear you enjoyed your King suite and that Stacey made you feel welcome. It was lovely to have you here, we hope to see you again! I am definitely staying here the next time I am in Monroe. In the midst of a horrible vacation, the hotel and its staff were a God-send. The staff were extraordinary - we had two small children with a stomach bug and lots of extra requests, and the staff (front desk, cleaning, breakfast... really everyone we met) quickly handled everything with a smile. We got the double queen room with spa bath and the extra space was great. Thanks Sarah for the great feedback! I'm happy to hear our staff could assist you with everything you needed to make your stay most comfortable. We hope to see you again soon! The staff is warm and welcoming. The lobby is lovely and our room was attractively furnished. We came away with wonderful feelings for this hotel due to the comfort and the outstanding service. The staff, from the reception to breakfast, make every effort to show courtesy and kindness. We had an excellent experience and would recommend this hotel to anyone. This hotel is a GREAT stay. The facility is clean and the staff was exceptional! While checking in the Desk Clerk was exceptional I had one little hiccup with Breakfast but the overall experience far outweighed the hiccup. "Good stay with friendly staff"
I've stayed here a few times while traveling for business. The staff has always been friendly and the rooms clean. Stacey at the front desk is always high energy and helpful. They even upgraded my room free of charge! Thank you for the great feedback! Your satisfaction is very important to us. We really enjoyed having you. We hope to see you again soon! This is a very nice place. 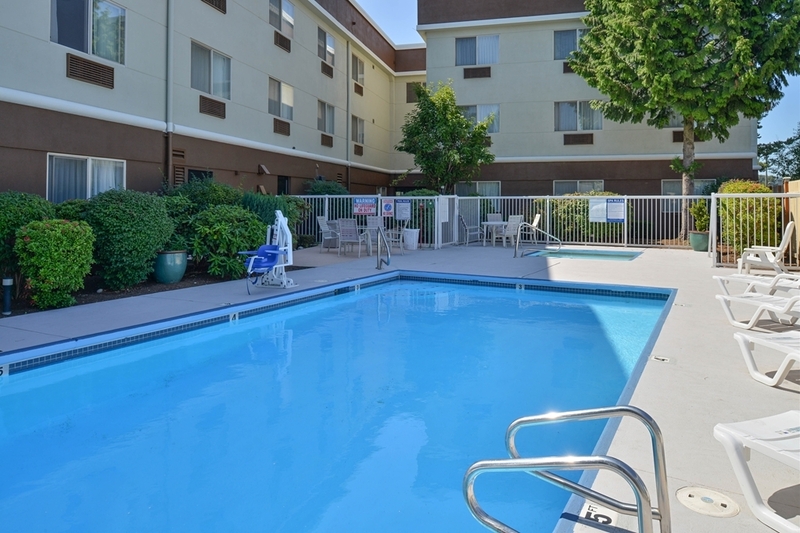 Clean, comfortable and well located right off the freeway. Many places to eat nearby including some within walking distance. I stayed here for business but is a great place for pleasure as well. Thanks for the great feedback! I'm happy to hear you enjoyed our breakfast and that check in/check out went smoothly for you. We hope to see you and your pups again! The staff at this hotel was some of the best! The price though was a bit steep for an older hotel. Stacey was awesome checking us in very late at night. Everything was easy and comfortable. The rooms were a bit outdated but all was in working order and very clean. Thank you for taking the time to leave great feedback! We are very happy to hear you enjoyed your stay and that our staff was helpful. We look forward to seeing you again! This hotel appears to be newly upgraded. Large rooms, big TV and remotes that work! Stacy at the front desk was wonderful. She adjusted my room from AAA rate to BW rewards rate and save me $$$. I will definitely be coming back the next time I am in town. Thank you Jane for the great feedback! We are very pleased to hear you enjoyed your stay with us. We hope to see you again! The room was like sleeping inside a bottle of perfume. when I !are the reservation I requested no perfume in the room. Left the heat on and the window open all the way the entire time. At check out the clerk said they had a back-up room for us. Why couldn't they just have given us the back up room to start with, instead of making us miserable. We will not return that hotel. Woke to a large bug floating in my glass of water on the nightstand. Same type of bug crawling on walls and ceiling the following evening. Reported to desk and expected a follow up. One of the employees told us it looked like a "Kissing" bug and after comparing pictures it appears she was correct. This type of bug is not one you want in your room. Road noise was high and near rail tracks. Room was clean and beds were comfortable if you can overlook bugs and leaky sink. We had a greta stay at the Best Western in Monroe. They upgraded us to a suite and we were able to travel with our small dog without an issue. They gave us a room on the ground floor near the back entrance which made it very handy. The room was comfortable, quiet and clean. We were very happy with our stay and the staff are very friendly. Thank you so much for taking the time to leave a great review! We are happy to hear you enjoyed your room and your entire stay. We hope to see you and your pup again soon! "Freshly baked cookies every day!" Thanks Bethany for the great feedback! It's always a pleasure having you stay with us. Stacey, the front desk clerk, greeted us immediately upon walk in. Checked us in quickly. Informed us of Best Western's current promotion for Rewards members that we were unaware of. Was incredibly kind and went above and beyond her job to make our stay incredible. What else can I say? We will be staying here again in December because of her and she deserves a raise ;) I hope you are listening, BW Sky Valley Inn- you have a true treasure on your staff. Thank you for a great stay and we love the remodel you are doing. Thank you Rhiannon for the great feedback! I'm glad to hear you enjoyed your stay with us. We look forward to seeing you in December. Have a great day! This location met all our expectations of the Best Wwestern chain, helpful staff, clean, good food, comfortable room. Although Monroe is a bit out of the way for most travelers, if you are ever in the area don't hesitate to stay at this Best Western location. Thanks Laurie for the great review! I'm so glad you enjoyed your stay with us. We hope to see you again soon! "Start of my trip to Seattle "
Had a great experience with the check in and the first morning breakfast staff is very friendly and helpful. Room is great,clean and comfortable. I have come back to Washington to meet up with my good friend. And to see my old stomping grounds of high school. I am going to say for two weeks. I would recommend this motel to my friends and family. Thank you for the great feedback. I am very happy to hear you enjoyed your room and breakfast. We hope to see you again! "Courteous, clean, and customer service"
I've stayed here twice in the last 5 months. And, Stacey, has checked us each time with a warm friendly smile. She has solved some simple requests in the process, too. Whether the staff is at the front desk or near the well stocked breakfast buffett, they genuinely want to know how you're doing and how they can serve you better. Customer service is such a turn on. Thanks Stacey!!! Thank you for the great review! I appreciate your feedback. We are very happy to hear you enjoy staying with us and talking to our staff. I happened to notice you rated your sleep quality a low score of 3. Is there anything we can do make it better? If it is a noise issue, please let the front desk know and we will take care of it! Have a great day. We enjoy staying at this Best Western. Room is always clean and the bed is very comfortable. Staff is friendly and helpful. Breakfast is enjoyable with many choices, hot or cold. We stay here whenever we travel through Baker City. Room was great, food was great. the Juice was amazing. Sean checked me in he was awesome. Alyssa, and Tess checked me out fast, and even gave me candy. I will be back just for the staff. They also have the best white cranberry juice. "They have Fresh made Cookies"
Thank you David for the great review! We are typically known for our clean facility, so thanks for the recognition. We hope to see you soon! We arrived to check in a little late. Stacy the night clerk made sure we had everything we needed. The room was very clean. We had the jetted tub. No yucky stuff in the jets. It was clean. I will be coming back for sure. Thank you Pauleen for the great feedback! It was a a pleasure having you and I'm glad you enjoyed the jetted tub. Have a great day! "nice hotel, i only got the group rate 1 night instead of 3." I was not given the rate for our group even after I had her contact the front desk at the hotel. I didn't mind the higher rate the 1st night, but I was told if I had the hotel co-ordinator call in, I would get the group rate, she did that and I did not receive the group rate for 2 night! We were very impressed with the evening desk hostess, Stacy, Maria, Dave, Ryan, and Sean, they went above and beyond normal duties to assist us in every way. They guided us in the usage of the computer as well as leaving a messing on the phone welcoming us and asking if we needed any assistance. We had a issue with our room, but Dave maintenance came right away and resolved the issue. "Great stay 10/6 to 10/8/2017"
Stacey Maria who managed my reservation and stay during a work event was awesome! She changed to a room requested on arrival and helped me when I lost my key multiple times. Stacey was great managing my stay. I recommend this hotel highly for Monroe. Thank you! Stayed here while working for a few weeks. Stacey was helpful and went above and beyond to make the stay comfortable. Working nights she set me up with a room at the end of the hall to relax and away from the busy noise of the day. Thanks Danny for the great feedback. It's a pleasure having you stay with us! Stacey and Maria went above and beyond accommodating room changes and special requests during or recent stay. Several family members stayed at the hotel for a wedding in the local area and had last minutes needs. These two worked hard on several issues, to include changing rooms, to everyone's satisfaction. Thank you so much Tom for the great review! Our front desk staff work extra hard to make each guests experience memorable, so thanks for the recognition! It was a pleasure having you stay with us, we hope to see you again! Room was wonderful - the people were excellent! Both Celia who served breakfast and Alyssa went above and beyond to be helpful. We had a King Deluxe room and it was very nice and spacious. We will stay there again. Thank you for leaving great feedback and mentioning our front desk staff. It was a pleasure having you stay with us, hope to see you soon! We had a very nice stay - the check-in was very nice and our room was great! The bed was very comfortable, the room temperature perfect, the decor well done. The hotel was very quiet. The breakfast was also quite nice. Thank you for taking the time to leave great feedback! I'm very happy to hear Stacey made your check in experience easy. She works very hard, so thank you for the recognition. We hope to see you again soon! Arrived late at night and met the woman at the desk Stacey! So helpful, cheerful and kind! It had a warm inviting jacuzzi and nice comfy bed! The breakfast was wonderful and more than expected and the staff was so nice friendly, helpful made you feel like at home with family. Thank you for taking the time to leave great feedback! I'm so happy to hear you enjoyed your stay and Stacey made you feel welcome. We hope to see you soon! Great smile, great attitude and very accommodating! Stacey made our stay that much better!! Everything was very clean and the breakfast was much better than expected. I have to have my coffee in the morning, they have a keurig in the room and coffee in the main area too! James, I am so happy to hear you enjoyed your stay with us! We are best known for our clean rooms and breakfast, so thank you for the recognition. Your satisfaction means a lot to us! The staff, including Stacey, Tess, Maria, Alyssa, Celia and Holly were very helpful with our check-in and out as well as breakfast. The only complaint "So many fruits are in season and cheap yet there was no fruit"- ??? The room was clean and neat and the bathroom was shiny! We visited 2 lovely elderly relatives and we have done this trip several times using Best Western. It works!! Thank you Kaye for the great feedback and for mentioning our front desk staff! They work very hard so thank you for the recognition. What a great suggestion about the fruit! I will see what I can do to have a better variety of fresh fruit for the morning. We hope to see you again! Great location, friendly staff, comfortable bed with plenty of towels. Downside was the sounds from a freight train early on a Saturday morning, that if you live nearby isn't a lroblem, or so I was told. Thank you Kathleen for taking the time to complete the survey and leave good feedback. I have experienced a similar issue with the train recently, so I understand what you're saying. 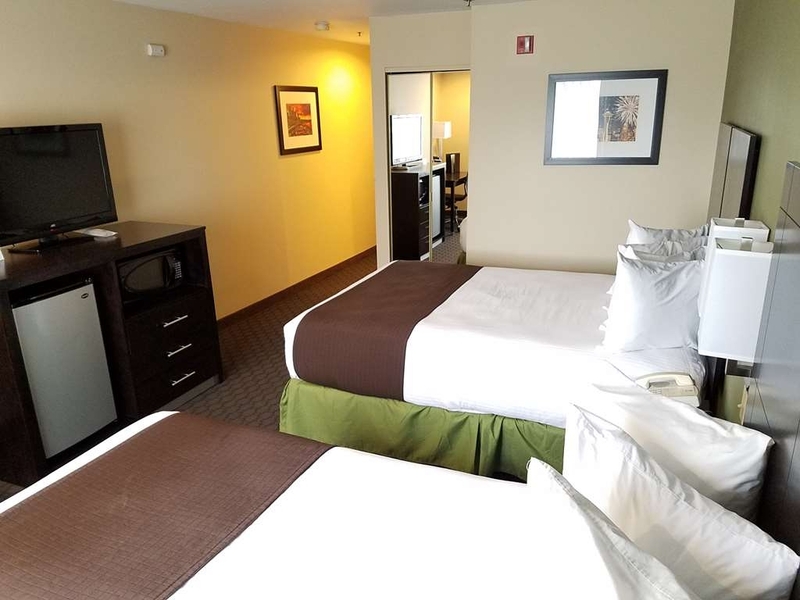 If you decide to stay with us again, please tell us you'd like a room on the side not facing the highway and we will do our best to accommodate you! We also provide ear plugs at request to help with the noise. We hope to see you soon! I travel a lot. I Getz Monroe is busy and they charge a premium. So, my only real markdown of this hotel is value. Stacey checked me and impressed. Courteous and professional. What especially impressed me is she handled the gift cards much easier than a lot of more experienced people do. "Great place to stay when in Monroe"
Our go to place when attending an event at the Speedway. Great location to walk to restaurants, pubs, Safeway, etc. Employees were very friendly and a special shout out to Stacey who made our stay. She was amazing and always smiling...even near the end of her late shift. Thank you for everything! "staff went above and beyond"
We reserved a room here for our grandsons wedding. Upon arriving the room was not ready so we went and got lunch at an area eatery. on coming back our room was ready thanks to Alyssa. That night I had trouble getting into the bed as I am 5 foot tall and a little overweight and 70 years old. Stacy came to my aid by getting me a step stool to use to get into bed. Later when my husband had to get out of bed he had trouble and ended up on the floor. Stacy again came to the rescue and came in to help me get him back to bed. My husband is 84 years old so was a problem getting him back in bed, but she stayed with us until I got him comfortable back in bed. When a friend f mine came to see me Stacy once again offered us coffee, tea or juice while we visited in the lobby. With such good service people we will be sure to recommend your hotel to all our friends. Stacy was a real life saver in a time of need for two older people. Alyssa at the Front Desk has been nothing but helpful every step of the way with helping us arrange a group stay. Can't thank her enough for the special attention! It's been a LOT of communication back and forth, and she has been extremely attentive every time I've needed assistance. If you get to work with her, you'll be very lucky! Hotel was very clean and up to date. The room was very clean and current. Breakfast was great for this type of product. Pool was clean and nicely appointed. At times the front desk staff was spread to thin. For the most part there was only 1 person there and if you had a question there was a wait. This person was taking care of the front desk and the telephone. In my opinion - to much for 1 person. everything is first-class about this hotel. Super clean on the exterior, well lit and clean parking lot. Check in was fast and professional and friendly. (Stacey- front desk clerk was super awesome!). Room was clean and meticulously prepared. My overall experience was very positive safe and relaxing. Great hotel, clean, well staffed, good location and great hotel breakfast. I would definitely stay there again. As far as price I can't say it's a good value or anything but all in all while it wasn't cheap at Least it was decent. This Best Western has nothing to distinguish itself from other properties except that the staff is unusually friendly and accommodating. Unfortunately, the hotel is not located near anything but chain restaurants. Nevertheless, "downtown" Monroes is a short walk away (although one must cross US 2 and a RR track). The BW breakfast was better than standard with actual fruit. The room was ready and clean - Questions were answered without hesitation. Pool was a little cool but clean. Beds were awesome, everyone in our party slept well. Great breakfast selections. All in All a great stay. Always stay at this hotel when I'm in the area for business. Staff are congenial and well spoken. They check once you've settled in your room to ensure you are satisfied with it. All amenities function well and are current models. Breakfast is the usual fare that is good quality and fills the pit. Great place to stay will keep coming back. High rate for one night, no AAA discount given even though we asked, leaky faucet, train noise, and surly personnel at the front desk. Beds sagged in the middle. When one of our children forgot something in the room, they would not send it (even though it fit in a regular mailing envelope): we had to pay FEDEX $20 to go pick it up. Never going back to this joint. I had very happy stays at Best Western Monroe. Front desk staffs were very cheerful welcoming and friendly. Breakfast was really nice too. Store, restaurant, starbucks, everything is close by. will stay again!! Thank you for completing the survey regarding your recent stay at Best Western Sky Valley Inn. It was our pleasure having you stay with us. Our team here at Best Western Sky Valley Inn strives to make your experience the best. If I can be of assistance in the future, please don't hesitate to contact me at 360-794-3111. Thank you again, and we hope to see you in the near future. 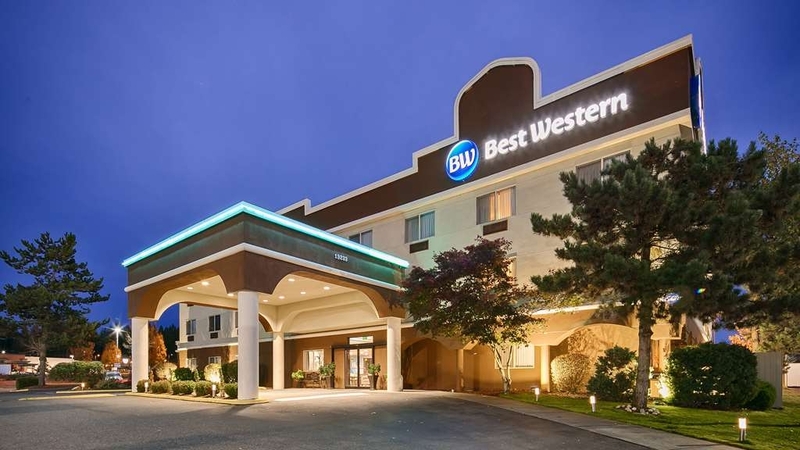 I'm a regular Best Western guest and a BW Rewards Program member for many years. I find their hotels are predictably comfortable, clean, quiet, and well-located. I want to give a special shout out the Sky Valley Inn location for their amazing customer service. My plans changed at the very last minute and Emily and Alyssa worked with me to amend my reservations, even though they were not at all required to do so. This is the kind of service that differentiates Best Western! We greatly appreciate you being a Best Western Member! Thank you very much for your time to leave us comment from your recent stay at Best Western Sky Valley Inn. Our team here at the Sky Valley Inn, It was our pleasure having you stay with us. And we are very happy to hear that you enjoyed your stay. All of us strive to make your experience the best. Thank you again, and we hope to see you again in the near future. "Very professional staff, would stay again"
We picked this hotel because restaurants and coffee shops were within walking distance. We came in later in the day, so we were given an upgraded room because there were no basic rooms left. After a late dinner we had issues with our bathroom. We were quickly upgraded again to a suite. Rooms were very clean with comfortable beds. They offer a pretty substantial complimentary breakfast that we ate outside beside the pool. Had a room key problem that their maintenance man "Dave" was quick to repair. Had a chance to chat Dave up about where to head next on the bike, he was very helpful. Upon checking out the whole front staff apologized for any inconvenience. Things happen, the staff handled everything great. Having a chance to talk with Dave gave us a fantastic day on the bike. We'd stay again in a second. "Best Western Sky Vally Inn"
This is a very nice hotel in a small town. The town is a gateway to a mountain pass. The hotel staff is extraordinarily nice and helpful, happy to answer questions and add information. The rooms are clean and comfortable, with very good beds. Great for families, and the included breakfast is good. Services are close. A good value. We will stay here again. "Liked it, but it costs too much!" The beds were absolutely comfortable. That's the best thing about the inn. The worst thing is how much they charge. There are not many hotels/motels in the area. Perhaps they are asking whatever the traffic will bear due to that fact. We most likely will not stay here again due to the cost. It was not nice enough to warrant the cost. Mrs. H, Thank you for taking the time to complete the survey regarding your recent stay with us. I'm very happy to hear you got a great night of sleep and that you liked the beds. I apologize you felt you didn't receive full value for what you paid for. We offer many types of discounts. If you ever decide to stay with us again, please ask us what discounts you are eligible for! We will be happy to work with you. Have a great day. "Very nice for a stop-over"
A little hard to find as off the road a bit but overall good place to stay. Staff was friendly, knew the basics, and did well. Nice room choice - room was clean. Breakfast was nice with multiple choices and nice dining area. Thank you for taking the time to complete the survey regarding your recent stay at our property. Your feedback is very important to us. I'm very happy to hear you enjoyed your stay, I hope to see you soon! "Nice hotel but at $210 very pricey for a non-destination hotel"
The Best Western is a nice mid-range hotel off Highway 2 in Monroe, but the room price was $50 higher at the desk than had been advertised online when we searched it earlier (and is listed now on TA). Parking is free but includes some stalls in dark areas. It provides free internet. Rooms are relatively spacious, with a writing desk, drawers, closet, mini-fridge, and microwave oven. Beds are comfortable and the bathroom is larger than at some other hotels. The free breakfast is very nice, and includes scrambled eggs both with and without cheese, bacon, sausage, meat patties, hash brown patties, red potatoes, yogurts, fruits, breads, and cereals. The seating area is on the other side of the lobby from the food serving area. The hotel has a small outdoor pool and spa, but the latter wasn't functioning during my stay. The desk staff was very helpful and professional--some of the nicest people I've encountered for a while. The hotel was attractive, clean and very nicely furnished. As mentioned, it was a bit overpriced during our stay, especially without AAA or BW discounts, but otherwise highly recommended. Dear AeneasAtSea, Thank you for taking the time to complete the survey and leave a great review. Our team here at the Sky Valley Inn greatly value your feedback. I apologize we didn't offer you any legible discounts. We are usually good at offering discounts to those who qualify, so we are sorry we missed that mark. Other than that, I am pleased to hear you enjoyed your stay. We hope to see you soon! Have a lovely day! I felt this hotel was dated, somewhat grungy and in a very non descript town. It was over-priced. Apparently there was a horse show in town, so maybe they could charge more. Anyway, I wish I would have chosen to drive farther and stay someplace better. All employees were very nice and helpful though. This hotel is great and has a nice hot tub and pool, very clean rooms and hotel. I'm not so happy with paper thin bacon at any hotel anymore and not eggs the way most people like them, but that seem to be the way of many of the chain hotels, I don't blame the cook just the hotel chain for their choice in product. I just keep remembering the hotels that go out of there way when it comes to breakfast, the most important meal of the day. Alyssa at the counter was a great help answering any questions. Dear Donwayneh, Thank you for completing the survey regarding your recent stay at our property. Thank you for mentioning our front desk associate Alyssa, she works very hard to provide excellent service to each of our guests. Have a lovely day. Tess and Maria, went above and beyond with smiles all day long. Cant say enough great things about our stay at this great hotel. I wish all of our experiences were as seamless, effortless and pleasant. The owner was super kind and also amazingly helpful. We can't say enough great things about our unexpected stay. An amazing staff. Great pool. 5***** review. "Great Stay! 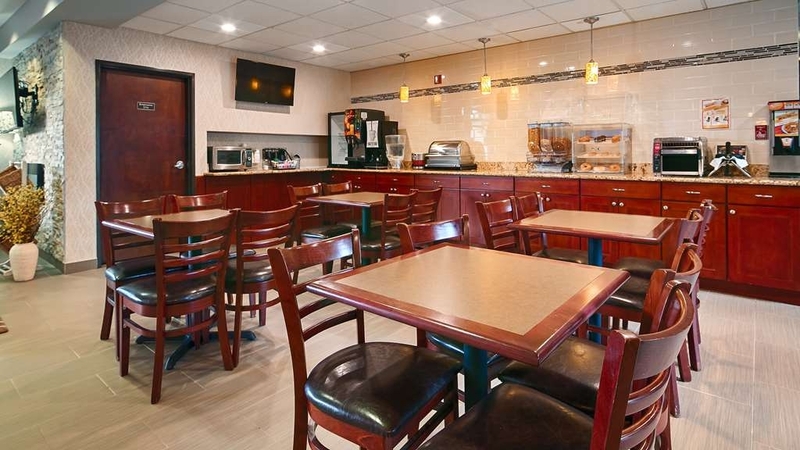 One of the Nicest Best Western"
Many Restaurants and stores are nearby the hotel. Carpets, TV, bedding were brand new, very refreshing and modern! Breakfast was really good. One of the nicest best western I've stayed so far. We enjoyed our stays. Dear Melissa, Thank you for taking the time to complete the survey regarding your recent stay at our property in Monroe, WA. We greatly appreciate the good feedback! I'm very happy to hear you enjoyed your stay as much as we enjoyed having you stay with us. If you're ever in this area again, please don't hesitate to call us and make a reservation. Have a lovely day! "Very Nice Stay for Two + Pup"
We had a very nice one night stay after a 12 hour drive with our dog. The staff were very courteous and sweet to our pooch (a necessity for pet parents), especially Alyssa. A reasonable pet fee of $20. Everything was very clean. I would not advise using the in room bath products for anyone with sensitive skin. They're a little on the low end. Excellent free breakfast with the usual plus eggs with cheese, bacon, sausage, and hashbrowns. Dear Jordan W, Thank you so much for taking the time to complete the online survey and leave a review. Our team here at the Sky Valley Inn greatly value your feedback, as it helps us to improve. I'm very happy to hear you enjoyed your stay and had a wonderful breakfast experience. Also, thank you for mentioning our front desk associate Alyssa. She works hard to provide excellent service to out guests and I will make sure she gets the recognition she deserves. We hope you decide to stay with us again, we enjoyed having you and your pup. Have a lovely day! Stayed here a couple of nights. This place is close to everything that you would want. It is close to grocery stores, restaurants, even a hardware store. There are some boutique shops too. The front desk check in was quick although were were given incorrect directions to get to our room. It was enough to figure it out on your own. They also have a pool which we did not use. We stayed in a room with jetted tub that had a spray nozzle if you wanted to take a shower. 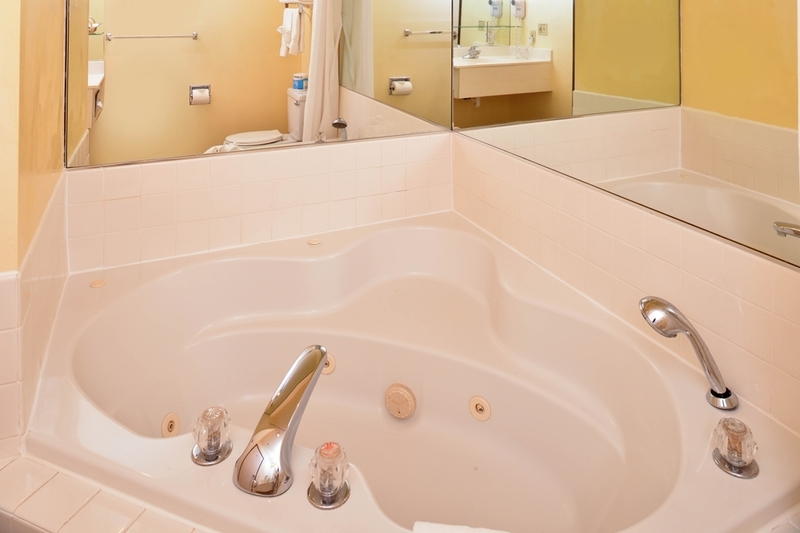 We were pleasantly surprised by the tub; it is really nice and there was plenty of hot water. The room was clean upon arrival. They provide free breakfast. They had an assortment of items to offer such as greek yogurts, waffles, biscuits, and other warm dishes. They give you non-card keys to the rooms. It is like a key, when you put it into the key hole - it emits a pretty high sound - almost like an alarm. It is a bit unusual and the first time we stayed at a hotel with such unusual room keys. The few issues we had with the room is that it seems that the bathroom light was tied somehow to the jetted tub timer. If we stopped the tub earlier than the timer, the bathroom light would remain on and would not turn off. Not sure if that was just an issue with the timer itself or built in that way. The room has REALLY thin walls. You can hear people talking in other rooms. And there is a train nearby that also comes in the middle of the night. You can hear it all. If you are a heavy sleeper, then these items will not be an issue for you. For us the issue with the thin walls was too much for us to stay here again. You know the rooms are thin when you are trying to talk normally (not like we are having a crazy loud music party) and people start banging on the walls for you to be quiet. I think these rooms are best for solo travelers who have no guests. Dear Kadlu, Thank you so much for taking the time to complete the online survey and leave such a great review. Our team here at the Sky Valley Inn appreciate your feedback, as it helps us to improve. I'm very happy to hear you were impressed with the location of the hotel, as well as the jetted tub and the breakfast selection. You are absolutely right about the walls being too thin, we have gotten many complaints. I have talked to management about this issue, and plans are in the works to eliminate noise. As for the train, we can't do much about it, but if you decide to stay here again, I would suggest requesting a room on the other side of the hotel which is quieter, and we will try our best to accommodate you. Again, I'd like to thank you for writing such an awesome review. This hotel is located near everything. Excellent staff, clean rooms, nice pool and hot tub. This hotel has an awesome breakfast that is complementary. I would definitely recommend this hotel to anyone. Dear Marty D, Thank you so much for taking the time to complete the online survey! Our team here at the Sky Valley Inn value your feedback. All of us strive to make your experience the best, I hope we did exactly that. 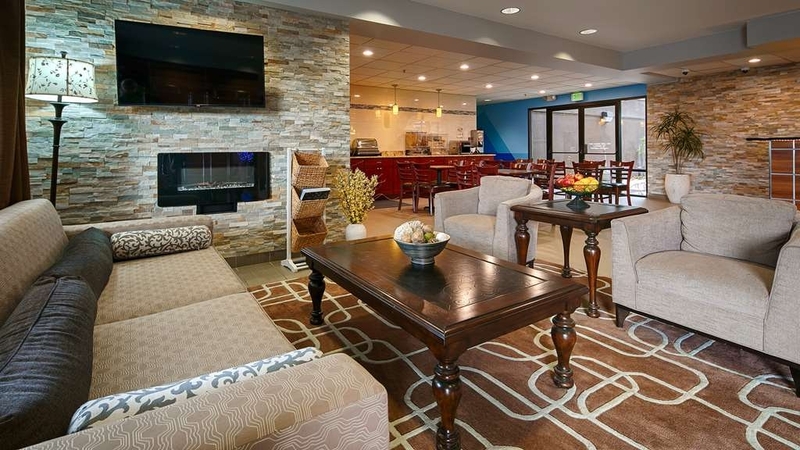 We hope you travel to Monroe, WA soon to stay with us again! "Your Basic, Same Old Best Western"
Pretty much like any other Best Western except for maintenance problems – heat in one room didn't work, mattress in second room was awful, jacuzzi was deafeningly loud in third room. Take what you can get, though: it's the only big-name motel in town, as far as I can tell, and you definitely don't want to stay in some local tourist trap if you can help it. My husband and I stayed here to be close to friends who live in Monroe. The Lobby was clean and the staff, friendly. Alyssa, at the front desk, helped us reserve a room on our return trip. Holly took great care of the breakfast area! The biggest surprise was the bed, one of the most comfortable ones I have found in hotels! It's more comfortable than our expensive Sleep Number bed at home. Dear Patti T, Thank for completing the survey regarding your stay with us. Your business is very important to us and we greatly value your feedback. We hope you come back to stay with us again soon! Thank you so much for taking the time to complete the survey. We are very happy you enjoyed your stay and look forward to you staying with us again. The hotel seemed to be updating. It was clean and stay were nice. We had a couple of issues with the bathroom sink and hearing through the walls. The breakfast was just middle of the road. We will stay there again but just needs a little work on the inner workings. The location is perfect, the remodel is beautiful and the staff are great however this hotel has pretty thin walls. I could plainly hear the TV and conversations of my next door neighbors. For as much as the hotel charges for a room it was a disappointment. This hotel is by far the better of the two in Monroe. Would be better with a hot tub but I'll take what I can get. I would advise this hotel as I am going to stay in it again soon. I wish the breakfast was better. Better quality better food is a need for sure. The hotel is wonderful! It is clean and very comfortable. The room is spacious and has a Kerig coffee pot for your convenience. The breakfast in the morning was terrific! We will definitely be coming back!!! We always stay at this inn during our vista to Monroe. Hotel is very nice and the staff is friendly and professional. We work in the area once a year and appreciate the variety of their breakfast items to grab and go early on Sunday morning. "Close to all Monroe sites"
We stayed at this BW for about 5 days in April. The hotel was clean and comfortable for our family. There is a hot breakfast that was good. The pool is outdoors and was not operational during our stay. The staff was friendly and helpful when we needed to make changes to our reservation. My 87 year old mother and I came for two days to attend a family gathering and were joined by my daughter and son in law for the second night. I couldnt be more pleased with our reception, treatment and overall experience. Nice surroundings, clean facility and friendly, helpful staff. I am bad with names but Sean who helped with my reservations over the phone, Tess the morning desk person and Derek and staff at breakfast are simply outstanding. The breakfast ... so nice! I never did figure out how to turn the shower on ... but a bath worked. All in all I highly recommend the Sky Valley Inn. "an excellent place for a perfect stay"
We have been a guest at the best western for well over a month and everyday has been perfect.helpful customer service and easy to talk to management. the breakfast is over 50 items strong and serves a huge variety of food sure to please all types of guests. I recommend this hotel to anyone looking for a good and comfortable stay quiet and respectful..ps they have a very good wi fi also.....i would choose this hotel over all others in the city. Hotel was easy to access off of highway. Lots of good restaurants nearby. Staff friendly and helpful. Room was spacious. Internet wifi was excellent. Bed was comfortable. Breakfast was good with a decent selection of hot and cold items. Staff came around and poured the second cup of coffee. would return. This was our second stay at the Monroe Best Western where the customer service is always outstanding. Our room included a refrigerator/freezer, microwave, and Keurig coffee pot. 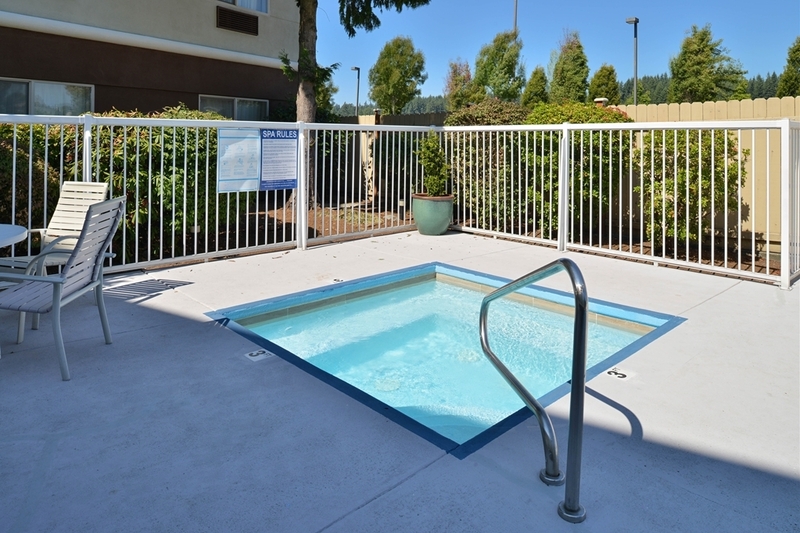 The hotel is about 20 minutes from the 125 wineries of Woodinville, and about 25 minutes from Prime Outlet Mall. "Pleasant Stay for the Money"
This hotel was being refurbished and it showed with the lobby appearance freshened. The room was comfortable and the staff was eager to be helpful. However, it is a modest priced hotel and it shows particularly in the selection of breakfast items. On the positive side, the coffee was quite acceptable. My husband had early outpatient services at the local hospital, an hour and a half from our home, so we booked a night at the Best Western. Because of the hospital requirements the day before, we needed to check in early. The front desk staff were very accommodating. The room was clean, comfortable, and quiet. It came equipped with a decent size refrigerator, microwave, coffee and free wifi. In addition there is a hot breakfast served in the morning, and free USA Today newspapers. Would definitely stay there again. The only thing missing was that the pool is outdoors and seasonal. Thank you so much for your feedback I really appreciate it. We are always trying to make our property better for our valued guests such as yourself. We hope to see you again in the near future! My husband was in town for work and I tagged along during the day. After visiting with friends late into the evening, we arrived at the Best Western Sky Valley INN well after midnight. Upon our arrival we were greeted by the front desk gentleman in a very cordial manner. He even provided us with ice for our room so we didn't have to come back down for ice. The front of the hotel was bright and cheery even though it was pouring down outside. The beds and pillows were very comfortable but the train blowing the horn while travelling through Monroe a few times during the night kept waking me up. We usually stay with friends away from the center of Monroe so I was shocked when I heard the train's blaring horn. The breakfast was not something I would order in a restaurant and I would send it back if it was served to me. The walls in our room were not thick enough to block the sound of the banging headboard from the room next door. The room and bathroom were clean and a good size. Having a refrigerator in the room was great. "Nicest Best Western I've Stayed at"
This hotel was simply fabulous! From the excellent service to the beautiful renovated rooms and everything in between. They have recently remodeled this hotel and it is so comfortable (the bed was better than mine at home) and it looks fantastic. The front desk staff was welcoming and well informed regarding the area. I would recommend this hotel to anyone who is looking for a home away from home, great customer service, great breakfast and beautiful accommodations. We have stayed in Best Western Plus hotels that are not even close to as nice as this one. We will definitely be back! The hotel is clean and comfortable but it is near a busy main road and a railway. We were kept awake by the sound of trains for much of the night. The breakfast was OK, but not that well prepared. Reception staff were helpful. "To see family in area"
I stayed in the sky Valley Inn in Monroe ,Washington as some of my family was in the area to meet other family members a get together of sorts. The Inn was clean and had nice breakfast lots of fruit,hot cereal,cold cereal hot coffee,cocoa,juice make your own waffles there was eggs and think sausage as well,muffins and bread and bagels,Coffee and Milk. So that was good to start your day. Outside Pool area was very clean and enjoyable. There was computer area on first floor nice touch. Two tv in the front areas .There was also venting machines to get some water/soda or snacks. Ice machine. Think there was a small clothes washing machine area on first floor. I like that I was able to get the news papers Wall Street and local most days that I was there. Lots of places and things to see and do in and around Monroe and we tried about five restaurant during our stay and few fast foods and lots of coffeehouses and drive up so no matter what time you were out and about you could get a great coffee or go shopping lots of stores and small malls in area. Saw lumber store picked up some there. And found small place to send packages back home that were to large to take on plane out of state. Two days after got home the packages were here and in good order family painting and stuff got while shopping in Monroe and Gold Bar and Everett and Blaine Washington. We even had to go to hospital in Monroe while there and they gave us great service as family from in town and out town, glad to see that service In a small town. Didn't no we make a trip there but was glad so we didn't have to drive to Everett. That was a life saver. Room was clean when I got there . The only thing I didn't like was that the housekeeping service persons wouldn't get my door shut after cleaning,and few little things came up missing. Nothing I couldn't replace it's just the facts is all. Other then the little things all else was very enjoyable. I think our rooms should be kept locked when not getting service in rooms for cleaning or what ever. If I was ever to stay at this Best Western I won't have room service at all during my stay and then my stay might have been so much better. I like a very clean and friendly service inn while traveling. 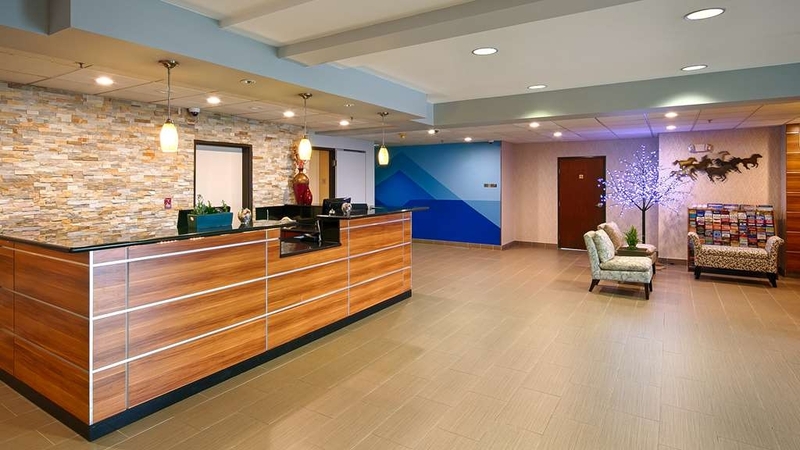 I must say your front Desk personal were outstanding in all they did for me and other guests I saw them interacting with during my stay at all times was welcoming from the booking to finding another best western to stay at for me during the rest of this trip. They gave me maps to the next Best Western with each turn and exit number that help me go up north before I left they even mapped each step and gave me their number so I could call ahead and book rest of my stay in Washington state plus my two other side trips. Very nice extra touch by FrontDesk personally. Thank you so much for your valuable feedback and the kind words regarding my front desk staff. We want to make sure that all of our guests feel welcome and at home during their stay with us. I also appreciate you telling me about the open door and I have spoken to all my maintenance and housekeeping staff regarding that issue. I sincerely hope that the next time you are in the Monroe area that you will come back and see us again. We look forward to seeing you. Take care and thanks again. Thank you kindly for your valuable feedback. It is important in assisting us with making our guests stays the best that they can be. We hope to see you again the next time you are in the greater Seattle area. "Casual fast paced traveler with good reviews"
The overall experience yielded positive results, the breakfast items, quality and taste were really of superior presentation, taste and choice. Although I had some minor issues upon checking in at 2.38am and checking out the same day at 5.30pm I would not consider these small issues a problem for the regular traveler, my trip was in a hurry and unconventional in scheduled arrivals and departure times. Thank you so much for your feedback as it is extremely important in helping us make all of our valued guests stays the very best it can be. We look forward to seeing you again the next time you are in the area. Take care and thanks again. One of the better Best Western's I have stayed at in Washington Or Oregon. Staff was helpful, bed was great, nice room. Not sure of the level of noise normally because there were some very active people on my ceiling until late. Thank you for your rave review regarding your recent stay at our property. We have been working extremely hard to make this hotel one that our valued guests like yourself will enjoy. I hope that you will come and see us again the next time you are in Monroe or the surrounding area. We appreciate your business and thank you again! "Stayed for a race event"
We were in Monroe attending an event that ended late and didn't want to drive the 2 hours home. This hotel was great for what we needed. Comfortable bed however it is near a train so did hear the train in the early morning. Breakfast was sufficient for our needs however the coffee was not great. I suggest making a coffee with the Kuerig in your room and take it down to have with your breakfast. Thank you for your valued feedback. It is extremely important in order for me to make the changes that our guests are looking for. I have already arranged for a different coffee in the breakfast area, and am hopeful that it will have been replaced the next time you visit our hotel. I value your opinions so thank you again! we were originally registered to stay at a different hotel, but the first room they gave us was smoky and the second had cockroaches, so we left and came to BW. Very friendly staff and clean rooms - thanks for being there. 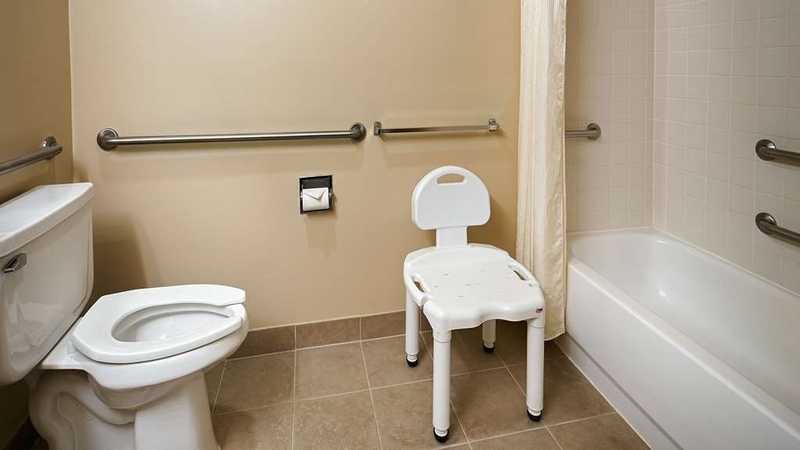 "A solid 3-star Best Western in a convenient location." Fast check-in Well appointed rooms with mini-fridge and microwave. Ample parking. Good wi-fi Decent kick-start breakfast. Many fast food choices and retail within walking distance. A good value in Monroe. Pros: The bed was extremely comfortable, one of the best in a hotel in recent memory. A refrigerator was in the room, which I tend to use. The room's decor was pleasant, and it was big enough. The room had windows that opened, for fresh air. Cons: Mold and bleach smell pervaded. Since I had SPECIFICALLY asked that I be given a room distant from pollution, this was especially annoying. I aired it, in the cold, chlorine air (since it was directly above the pool). Perhaps the responsible party does not know that chlorine is a strong chemical, and mold and bleach are toxic too. There was no second chair, so sitting in bed was necessary - which is bad on a back. The bed had a polyester bedspread, rather than following the beneficial trend to natural fabrics. There was no grab bar in the bathroom, so stepping in and out of the tub was hazardous. The cost was the most expensive I have ever paid for a non-resort hotel room. Hello, Thank you for your comments regarding your recent stay at our property, as a general manager I appreciate all feedback from our valued guests. Under cons I see that you believe that you detected a smell of mold in the room that you stayed in. Could you please give me your last name and check-out date so I can determine what room you stayed in while here? I always go to every room that we have comments on regarding issues that could be better or need to be fixed to ensure that the issues get taken care of immediately, however when the reviews are through third party websites such as Tripadvisor I cannot always see the guests info that would allow me to pull up their reservation in our system. My goal is to make our property the best and reviews like yours help me accomplish that, I just need to know who you are and what room you were in. Thank you and I appreciate your help in this matter. Stayed to be safe from long drive home. No shuttle to fair. Price too high. Added tourism assessment fee to bill. WTH! I have stayed in more scenic hotels for less money. I only reason we stayed was to be safe on the road. Monroe does not have a lot to see or do in my book, but still has high price tag on there hotels. If they offered a shuttle to and from the fair would be great, but they don't. It's NOT SAFE to walk either. That town should be more fair goer friendly. "A little more than expected." Was a very nice room and breakfast was great more than enough to eat and great variety. Only neg was that the refrigerator in the room was noisy. Left message in am and was assured that it would be fixed. Where should we start? Let's go with our check-in experience first. We arrived after the 3:00 PM check in time. We were told that they upgraded our room but it wasn't ready???? Came back an hour later and during the check-in, presented the clerk with BW $50 Travel Card we earned by staying two nights in BW hotels. The clerk didn't know what to do with it but said she would take care of it. We pointed out the display on their counter that described the Summer Promotion. We are not sure if she knew about it. The room. Some upgrade – long and narrow with a dark and dingy sitting area. I would hate to see what a regular room was like. Our reasons for choosing BW are the staff are very good, the place is attractive and their beds are usually comfortable. The bed was comfortable, so one star for that. The room was also adjacent to the pool so we had to endure screaming children. Eventually they left and we able to get a good night's sleep. Breakfast – what a joke that was. No breakfast room, just four tables in the corner of the lobby. Naturally all the tables were in use when we arrived, but a couple saw our dilemma and since they had finished their breakfast gave us their table. There were no spoons so I was wondering how I was going to eat my cereal – my wife tracked down a person who was able to find some spoons. Meanwhile others were showing up for breakfast and we felt we needed to eat fast so they could have their breakfast. The check-out. The clerk handed us our statement and it did not show that our $50 Travel Card had been credited. What followed was confusion – the morning people searched for the card but couldn't find it. They didn't know who was working the day before so didn't know who to call. Finally, they contacted their manager by phone. The manager wanted the number from the Travel Card but we no longer had the card. Fortunately, we had a second Travel Card and used that one. Now this BW has two of our cards and we see by our credit card statement that they used one of them. We had to contact Best Western to learn what card was used and if the other was still valid. The motel has never sent us an updated statement. Will we stay here again – not on your life! The hotel is very nice and comfortable. In room amenities are also better than average. The hotel has a pool and hot tub with convenient restrooms. Complimentary breakfast is good and extensive. No happy hour or cocktails are available. 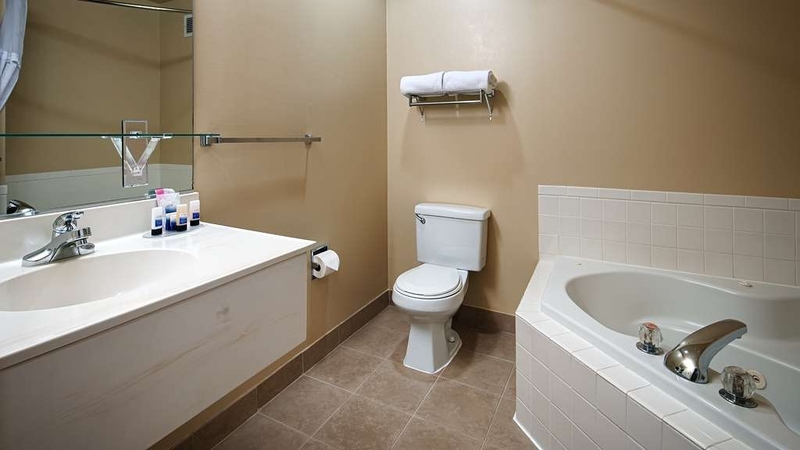 We routinely stay at Best Western properties because we can almost always depend upon them to be clean and pleasant. Sky Valley is no exception: clean, pleasant staff, good breakfast. 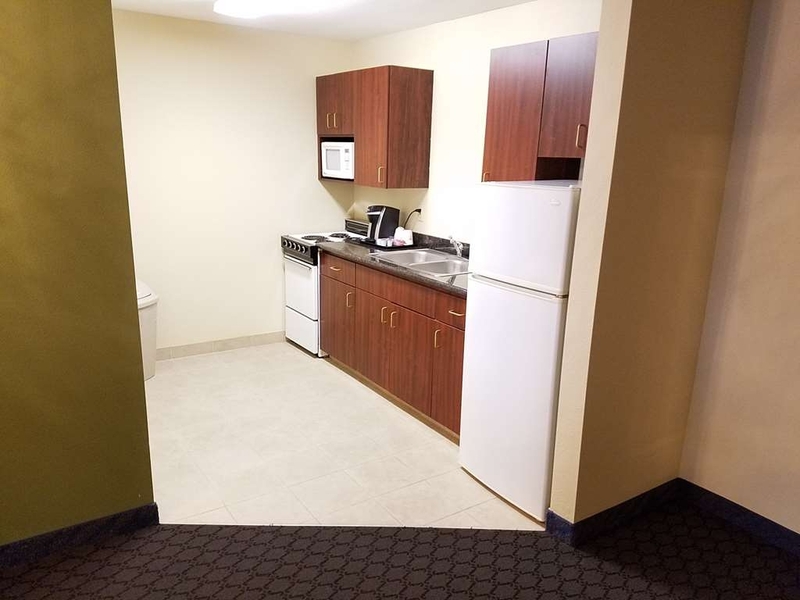 Not one of Best Western's "premier" or "plus" properties, Sky Valley doesn't offer some of the amenities that we are used to in some of the higher-line properties. One amenity that we really missed was some way to lock up our valuables. While the in-room guest guide is at pains to remind guests NOT to leave valuables in the room, Sky Valley offers NO in-room safe NOR a safe deposit at the desk. Since locking our valuables in a car parked in a public parking lot all day was the only other choice we had to leave our important stuff in the room...but were very uncomfortable with that choice. That and the rather tight parking spaces (most were marked for "compact" but even those that we not so marked were tight for our Ford Explorer if parked next to another, moderate-sized vehicle).were our only complaints. Otherwise the stay was very pleasant: friendly and helpful staff, working wi-fi and TV, quiet a/c system, etc. "Great Value / Great People"
The Best Western in Monroe is a great value. It is currently being renovated, but they do a great job of making sure it doesn't inconvenience guests. The rooms are nice and the breakfast is enjoyable, but the best part of the hotel is the staff. They are all really friendly and helpful. I would definitely recommend this hotel. Thank you for your kind words! Our goal is to provide you with the best guest experience possible and we look forward to having you back again the next time you are in the Monroe area. "A hotel that really cares about its patrons"
The hotel staff went above and beyond to provide us up top notch service. From ensuring we have a ride to a wedding we were attending to bringing up some ibuprofen in less than five minutes, they were ready to go and above beyond for us. We felt very greatly after our one-night stay and would recommend this hotel to anyone wanting to stay in Monroe or its neighboring cities. The location was very convenient - right along Highway 2 - and the room was clean and comfortable. We even had the opportunity to meet the owner and he was able to provide us with additional information on the hotel, which made the stay even more welcoming. We were not able to make it to the continental breakfast, but it looked very nice, so we were sad we missed out. Overall, we enjoyed our stay here! Thanks Best Western Sky Valley Inn! I am very happy to hear that my staff provided exceptional customer service for you during your recent stay with us. We strive for excellence in taking care of all of our valued guests and I hope to see you back again in the near future. Thank you for taking the time to review us in tripadvisor we appreciate it! The staff at this hotel was very helpful and courteous. The rooms are clean and definitely worth the price. Beds were very comfortable! We stayed in a room with a whirlpool tub and the kids thought this was fantastic! Room was very clean and included a fairly large frig and a microwave. Everything we needed! "I was robbed by a staff member in my room"
I was robbed by a house keeper in Monroe Washington Best Western on Sat, June 4th 2016. Left my room in am and went to ball tournament for the day. House keeper cleaned and my new movado watch, necklace and ring was gone. No body had access to my room other than housekeeper. I was the only person in my room. I have called 6x's and I've asked to speak with general manager. Still no call back from general manager to even address this invasive situation. I'm have spoken with a manager who has told me he has personally asked general manager to call me back several times and was very apologetic. Still no call back. I'm going to take this situation right to the top. I was robbed by a staff member and I won't let this drop. No body had the right to take people's resonate items. I was a customer and paid to stay in your hotel chain. Good day, As I stated to you via our telephone conversation my employees are not thieves and insinuating that they are is simply unacceptable. Number one you had kids in and out of your room the entire stay so if you are missing something you should start there, number two we are not responsible for items that guests leave in their rooms which is clearly stated on the registration card that you signed when you checked in. As I told you I stand by my employees and their trustworthiness 100%. A suggestion to you for your future travels is not to leave any precious valuables in the room because all hotels handle unwarranted accusations such as yours the same way. 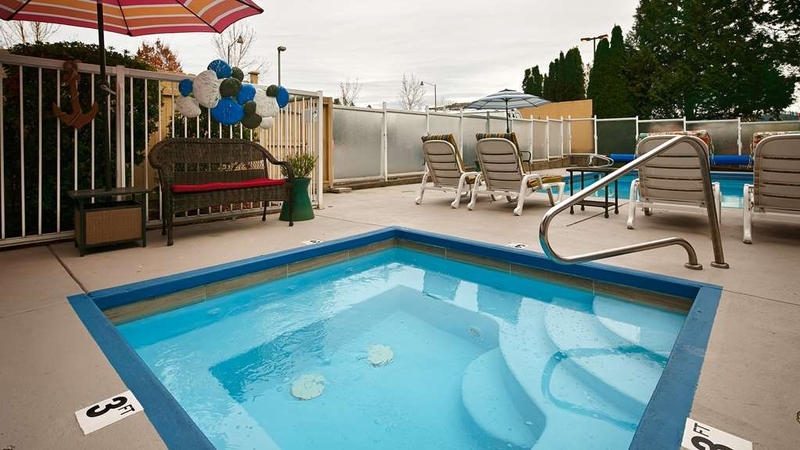 "Good place to stay in Monroe, Washington"
The hotel property & staff are first rate. the place is clean, you get wi fi, breakfast & a comfy room. Front desk folks are polite, friendly and knowledgeable about the area. I would for certain stay here again. "Average, but high price for what you get"
This is a decent hotel, but is overpriced for what you are getting. Found a large spider in my bathtub one morning. My room was supposed to get a suite and found out that that meant I got a jaccuzi tub, not a two bedroom room. Had no need for a jaccuzi tub and sure didn't need to pay more for a jaccuzi when what I had asked for was a two bed room to share with a friend for a convention. Breakfast seemed to be decent, but it was always on the verge of being gone before more was brought out. Walls are fairly thin and if you have a heavy snorer next door you might not get much sleep. I kept getting bumped off wifi, and some evenings I could not get on wifi. They need to beef up their wifi service. "Decent place to stay, but housekeeping is awful"
I've stayed here for two weeks at a time, the same time of the year, for the last three years on business. The front desk staff is friendly, the rooms are decent sized and well-situated, but the housekeeping has always been terrible. There are days they completely forget to do your room, other days they don't replace any towels, and they almost never vacuum. When I checked in, I moved a small chair away from the wall in order to plug in my computer, and the carpet under and behind the chair was literally WHITE from the dust. The same debris sat on the carpet for days at a time, indicating they don't vacuum for days at a time. Dead flies on the window sill. But, they do have a mini fridge, microwave and coffee maker (Keurig, no less!) in each room, which is the main reason I stay there every year. I just wish they could get their act together with their housekeeping! "UNDER RENOVATION SO HARD TO GAUGE PROPERTY"
We booked two rooms for one night and did not realize it was undergoing a major renovation. The rooms we were in appeared to be partly renovated, but I am not sure. The paint odor was very strong and annoying. The front desk staff were friendly, but appeared to be having problems with their computer systems. The building was clean and the beds were comfortable, with rather large rooms. I would not hesitate to stay here again after renovations were complete. I have a long stay(3 months).I have had a great stay at skycity hotel and definitely recommend anyone for affordable stay.Rooms are spacious. If we are talking about food, food are so yummy. Food are prepared like home. Restaurant staffs are also nice. We had a few issues with this hotel...some we reported some we did not. Be warned that there is a $20 per pet charge when staying here. We were not informed of this when we checked in. We have 3 small fur babies so that extra $60 was a shocker! Was told room was ready at check in but when we went to the room, it was clearly not done yet. Breakfast was ok but gal that was taking care of it did not stay on top of the food and everything was almost gone. Several people had to request certain things due to it being empty. I felt that the price was a bit too high for what we received. We have stayed here before and loved it so this time was a let down. Staff was friendly and hotel was clean. My husband and I stayed here with our 2 children for one night. Positives: Bed was very comfortable. Room was a nice size. Negatives: There was painters tape over both sprinkler heads but nothing had been painted. There was scotch tape holding on the wallpaper. The dishes that are provided in the room were still dirty from previous guests. 2 burnt out bulbs in bathroom. The breakfast was subpar. Eggs were floating in a milky liquid and the amount of rosemary used on the potatoes made them inedible. Overall, it is a decent hotel but they definitely need to speed up their remodeling process. The room rates should be lowered for the unremodeled rooms. "Perfect location for restaurants and easy access." We enjoyed clean amenities of large king room and hotel. Good location for taking day trips of surrounding area and access to freeways. Walking distance to a variety of restaurants and banks with town offering good services. Bathroom shower/bath has no grab bars if this is necessary for you. The staff at the hotel were fantastic. My coffee pot was broken and they immediately had it replaced. The room was clean and the beds were very comfortable. The hotel is central to everything and easy to access. I enjoyed my stay and felt rested. Monroe, WA is known for its medium security prison and its fairgrounds. It is not a resort destination, but does put on many events at the fairgrounds. I go there once a year as a vendor at a toy train show. Before staying at this property, I tried the other two that seemed a cut above what could be found in the area. This is BY FAR the best property in town. Currently under renovation, the owners clearly want to upgrade to an even higher Best Western status. Lobby very attractive for the boonies, but who care about a lobby? The room I had, a king with Jacuzzi, was spacious and well appointed. The internet system was fast and much better than average...this is important to me. Bed was comfortable but wish had a choice of firm or soft pillows. Towels were excellent. Jacuzzi worked well and was a relief to tired feet after a long day standing on cement at the fairgrounds. Breakfast was complimentary and a step above what one would expect. Not up to Premier properties of BW, but getting very close and totally satisfactory. I had a few room issues, which the front desk clerk took care of immediately and with concern that there were problems. Reservation was handled by manager and went very very smoothly on arrival. Without hesitation I would recommend this property to anyone needing to stay in idyllic Monroe, WA. The hotel was very nice and was undergoing renovations but you could not tell has every area was nice and clean with no signs of construction We were never inconvenienced The room was very clean and the bed was very comfortable. Some of the amenities were dated but we could see things were being updated There are many places to have lunch and dinner with in walking distance of the hotel which was nice. The staff were very good recommending places to go and eat. The breakfast was not as good as other Bestwestern's but they had limited space so they were doing the best they could. I would definitely stay on my next visit to Monroe. "Spacious room, comfy beds, good lighting and great shower"
Stayed in the third-floor suite with jacuzzi-tub in December 2015, two nights. Very spacious room, comfy beds, very good lighting in bathroom, adequate lighting in bedroom, excellent water pressure in shower. Pleasantly surprised; a great deal for the money. Staff was helpful and accommodating. A bit of traffic hum from Highway 2 but my brain quickly tuned it out; no problems sleeping. Convenient location; ate at Bela Balducci's a block away, excellent Greek/Mediterranean food including their delicious lemon chicken soup. "In a pinch otherwise no"
Called and reserved a room a day early ahead of our original booking thru a rewards program. We returned late Thanksgiving evening to a locked out room and had to recheck in at the front desk. What a hassle. Our room was OK but needs an upgrade bad. The bathroom (room #202) had mold growing thru the wallpaper they painted. There was a dirty washcloth hanging on the shower rail. The water pressure is very poor. It sounds like a herd of elephants walking around above us both nights. I give it a 1 star because the king bed is very comfortable. Thank you for taking the time to share your experience here with us. I am very sorry to hear you were not completely satisfied with your stay. We are nearing completion of a total renovation of our hotel. Our lobby and public areas were completed early in 2015 and all guest room updates will be complete in the next 60 days. Including carpet, wallpaper, and all furniture. We would be grateful for another opportunity to earn your business in the future! Thank you again for letting us know both what you liked and how we can improve.. it is greatly appreciated! "Restful Space in Monroe, WA"
Wonderful place located behind Burger King in Monroe, WA. It is nestled amongst fast food, restaurants, and shopping. There is a nice walking trail behind the Best Western. Perfect place to walk your four footed friend. Stay here when attending dog shows. Thank you so much for the wonderful review! We are very happy to hear you enjoyed our hotel so much! We look forward to seeing you again on your next trip to Monroe! "Nice suite and HUGE beds"
Loved the sitting room upon entering the room and the HUGE beds. I believe there was a TV in the sitting room and another TV in the bedroom. Very comfortable room which included a sink, fridge, microwave. Breakfast was wonderful with lots of hot and cold choices. Beautiful lobby with comfortable couches and chairs and a business centre. Would stay here again. Thank you so much for your kind words! we are thrilled to hear you enjoyed your stay with us! Thank you SO much for taking the time to share your experience with us and everyone else! We look forward to seeing you again the next time you travel to Monroe! Booked three rooms directly with the hotel for the three couples traveling together. Front desk clerk I spoke to was very easy to speak to and very friendly. When I told her we had three classic vehicles we would be parking in the lot, she offered to reserve spots right outside the front doors so the night clerk could keep an eye on them. The hotel was much better then the pictures shown on Trip Advisor. It had many updates done to it since those pictures were posted. Room was very big and clean. Lots of towels. All the normal amenities such as shampoo, lotion, hair dryer. Complimentary breakfast was okay. I have had better at other Best Western hotels. Close to many stores and restaurants. All-in-all, a great stay . Thank you for the fantastic review! I am very happy to hear our staff was so accommodating and that you enjoyed your visit here us! Thanks again for taking the time to share this us! Best place to stay in Monroe Washington. Close to where we worked. Friendly and courteous employees. Rooms top notch as well as the breakfast and selections. Our second year for staying during our work period for the fair. Thank you so much for staying with us again! We are pleased to hear you have enjoyed your time here with us! Thanks for taking the time to share your experience and we hope to see you again next year! "Overnight for work - Very pleasant surprise"
Had few problems with my Expedia reservation. I called to see if I could check in early and someone with a very similar name checked-in the day before. The desk clerk said come on in and gave me a better room! Great staff! Room is very clean and comfy and the WIFI screams at 56mbps down and 10 up. Connecting took several tries but eventually got it. Room has micro/fridge and LG HDTV. They don't block the ports so you can connect a phone/tablet etc. and stream movies on the big screen. Only issue is the AC unit which clunks and grids a little bit when the compressor kicks on. Active train line across the highway. Both sounds not really a big issue. Wasn't sure what to expect in a little town like Monroe, but was pleasantly surprised. We are thrilled to year you enjoyed our hotel! Thank you for taking the time to share your experience here with us! We hope to see you the next time you find yourself in Monroe! Thanks again!! I was in the area for an AKC dog show. This hotel charges $20 per night per dog - non refundable. Considering my dogs are crated, behave extremely well, and spend less than 7 hours per night in the hotel; I felt this was an excessive pet fee charge. Additionally, the grounds surrounding the building itself were kept up; however, cross the parking lot and medians between the parking sections were filthy with trash, over grown and very unkempt. The hotel is older but the interior is clean. The beds are nice. Thank you for your review. While we are happy to welcome our furry friends of all breeds and sizes, we understand pet fees can be an unwanted added expense. This allows us to spend additional time cleaning those rooms thoroughly and preparing for the next guest who may be sensitive to pets. I am happy to hear you were satisfied with other aspects of your stay. Thanks again for taking the time to share your review of our hotel!